Wesley So started the day with a win over his countryman Fabiano Caruana after outplaying him in an opposite color bishop middlegame. The quiet London System turned wild in the game between Hikaru Nakamura vs Anish Giri when the former lost the right to castle early on in the game. The tactics were favorable for Nakamura, when he won the bishop pair for the rook and eventually converted the advantage. Viswanathan Anand sacrificed a pawn in the opening against Shakriyar Mamedyarov but found himself under attack after a beautiful bishop sacrifice by the Azeri grandmaster; the many pawns in the endgame overwhelmed the former World Champion’s extra knight. Maxime Vachier-Lagrave vs Sergey Karjakin and Grischuk vs Aronian both ended in a draw. This was the bloodiest round of the day. 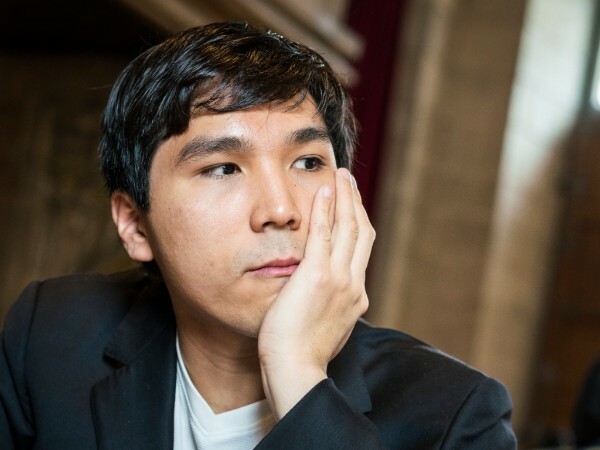 Wesley So won his second game in a row in a queen ending against Shakriyar Mamedyarov. Alexander Grischuk failed to find a simple tactic which would have consequently won a piece and instead lost the game to Sergey Karjakin. Levon Aronian’s rook and a knight proved to be stronger than Hikaru Nakamura’s queen, as the duo captured all the pawns on the kingside. Nakamura did not find a perpetual in time scramble and lost after his opponent queened his corner pawn. Anish Giri bounced back after his loss with a win over Viswanathan Anand after winning a pawn in the middlegame and converting in the rook endgame without much resistance from his opponent . Fabiano Caruana had a great advantage against Maxime Vachier-Lagrave but let it slip and had to settle for a draw. Fabiano Caruana suffered his second loss of the day after not withstanding the pressure put on by Alexander Grischuk in the opening. Caruana never managed to even fully develop his pieces in the opening and found himself in a helpless position soon. 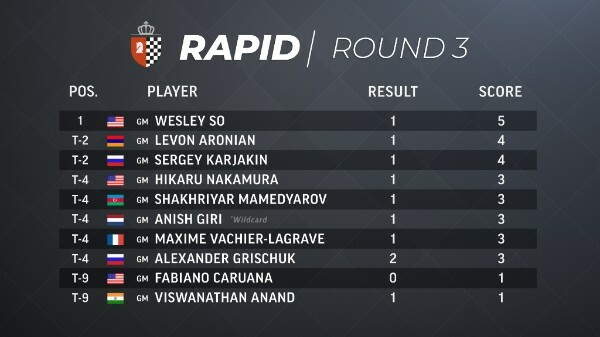 The surprising twist of the round was Shakriyar Mamedyarov drawing Anish Giri with a threefold repetition after failing to find a winning rook sacrifice. 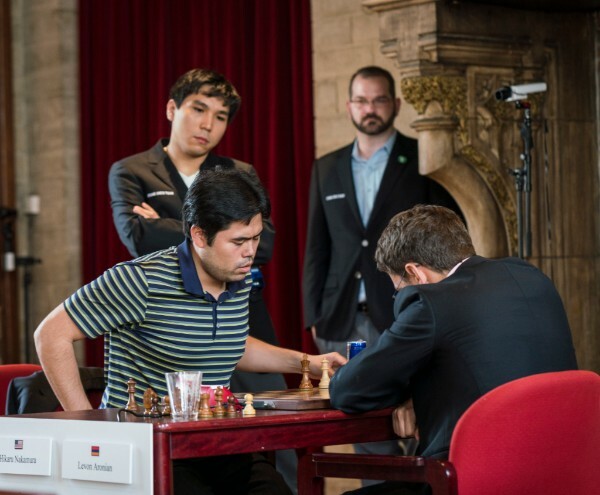 Hikaru Nakamura once again found himself on the strong side of a queen against rook, a bishop imbalance against Sergey Karjakin, but neither side could make any progress. 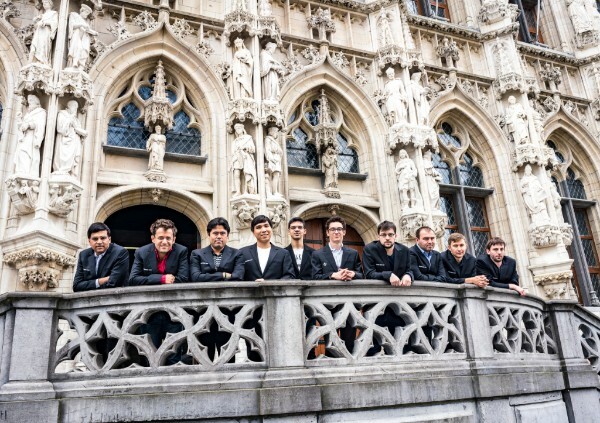 The rook endgames in Maxime Vachier-Lagrave vs Wesley So and Viswanathan Anand vs Levon Aronian ended in a draw. Wesley So had a successful day one.